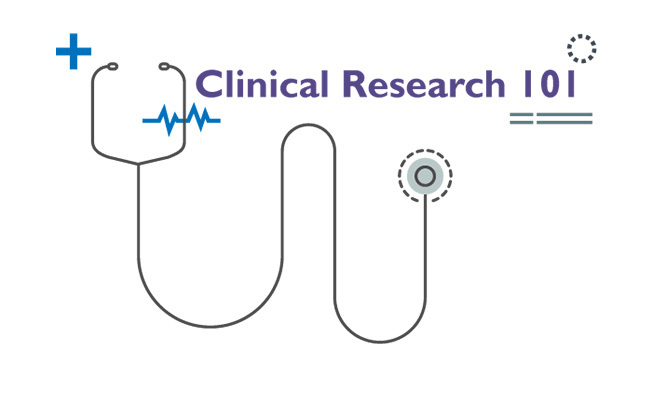 Our Clinical Research 101 series takes an in-depth look at key steps and tips for navigating the clinical research process. The first installment in this series is by Dana Nohynek, Director of Regulatory Affairs and Quality Assurance for CHÉOS. Ms. Nohynek leads the regulatory and quality affairs functions through the management of infrastructure and guidelines for creating, maintaining, and enhancing administrative, regulatory, and quality assurance systems associated with conducting clinical trials. She has the overall responsibility of developing, facilitating, and executing regulatory strategies to support CHÉOS studies and to oversee the maintenance and compliance of quality systems. What is a Clinical Trial Application (CTA)? In Canada, the sale and importation of drugs or biologics for use in human clinical trials is governed by the Food and Drugs Act and the Food and Drug Regulations, and regulated by Health Canada. The Regulations require that a clinical trial sponsor should submit a Clinical Trial Application (CTA) to Health Canada in order to sell or import a drug for the purposes of a clinical trial. Some exceptions apply, as described in the sections below. In the context of the Regulations, “sell” means to “provide for use.” The seller does not need to accept payment for the transaction. For example, a manufacturer may provide the drug to a study sponsor or investigator free of charge. In addition, a study sponsor who provides study medication free of charge to trial subjects is also considered to be selling that product under the definition in Section 2 of the Food and Drugs Act. Human clinical trials that involve the investigation of a drug are often referred to as interventional studies. These are intended to discover or verify the clinical, pharmacological, or pharmacodynamic effects of the drug, identify any adverse events in respect of the drug, study the absorption, distribution, metabolism, and excretion of the drug, or ascertain the safety or efficacy of the drug. In many cases, such studies are conducted using drugs that are not yet authorized for sale in Canada, i.e., they are lacking a Notice of Compliance (NOC) and Drug Identification Number (DIN). Alternatively, studies may also investigate new indications, clinical uses, routes of administration, dosing regimens, or new patient populations for products available in the Canadian market. Interventional studies are categorized into Phase I, II, or III, depending on study objectives, sample size, and other factors. Studies performed within the approved indication after the drug has been approved by Health Canada for the market are referred to as Phase IV studies. When do I need a CTA? When a study sponsor plans to conduct a Phase I, II, or III study, a CTA must be submitted to either the Therapeutic Products Directorate (TPD) or Biologics and Genetic Therapies Directorate (BGTD), within the Health Products and Food Branch at Health Canada. Sponsors are not required to file a CTA for clinical trials involving marketed drugs where the investigation is to be conducted within the parameters of the approved indication (Phase IV studies). The study sponsor can be any individual (e.g. medical doctor), corporate body, institution, or organization. The sponsor must comply with its obligations, as set out in the Regulations and adhere to Good Clinical Practices for the proper use of the drugs, drug labelling requirements, record keeping, submission of information, reporting of adverse drug reactions, and trial discontinuation reporting requirements. b. In any other case, a physician and a member in good standing of a professional medical association. Module 3 contains additional supporting quality information, applicable for some drug products and biologics. Health Canada reviews the CTA documents to assess the quality of the product(s) and determine that the use of the drug for the purposes of the clinical trial does not endanger the health of clinical trial subjects or other persons, the clinical trial is not contrary to the best interests of a clinical trial subject, and that the objectives of the clinical trial may be achieved. All CTAs are subject to a 30-day review period from the date of receipt of the completed application by the Agency. An acknowledgement letter is issued by the Directorate to indicate the start of the review period. During the review process, the sponsor is responsible for resolving issues identified by Health Canada and must provide the requested information within two calendar days. If the CTA is deemed acceptable, a No Objection Letter will be issued within the 30-day review period. A Not Satisfactory Notice may be issued if significant deficiencies are identified during the review or if a timely response to information requested has not been provided. If you have any questions on the details of preparing a CTA or if a CTA is required, please contact researchsupport@cheos.ubc.ca and we can assist you.